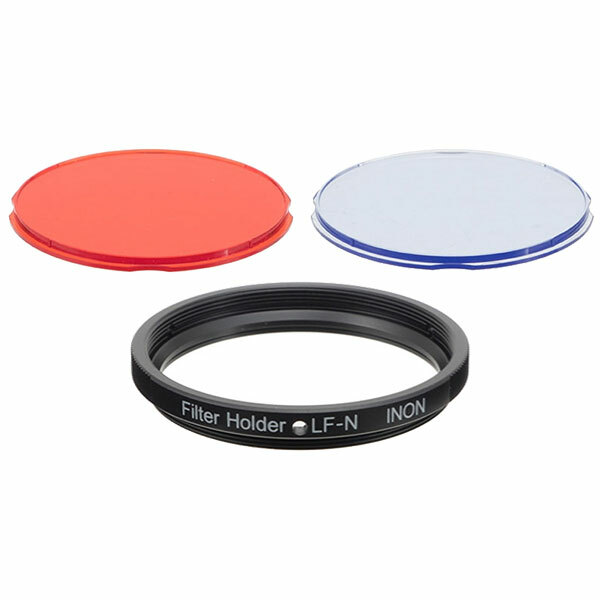 The Color Filter LF-N Set is a set of two color filters and filter holder for the LF800-N to change color tone of the beam. The Red Filter LF-N changes the light to red not to scare shy subject. The Blue Filter LF-N calibrates color best suited as constant light for underwater imaging. The Filter Holder LF-N has screw mount on its front end to stack optional Condenser Lens LF-N to have various combinations for different applications..
* The Color Filter LF-N Set is designed for underwater use only and not usable on land.